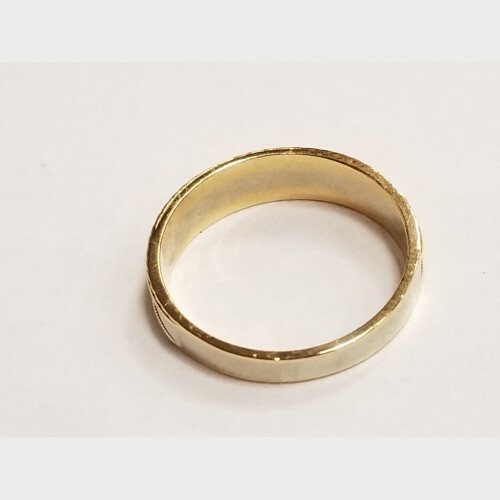 Men's 14K yellow and white gold ring. The ring weighs approx 4 grams. 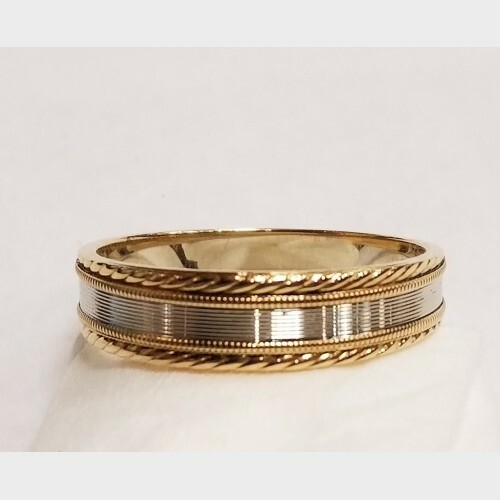 The band is pre-owned and is a size 10.